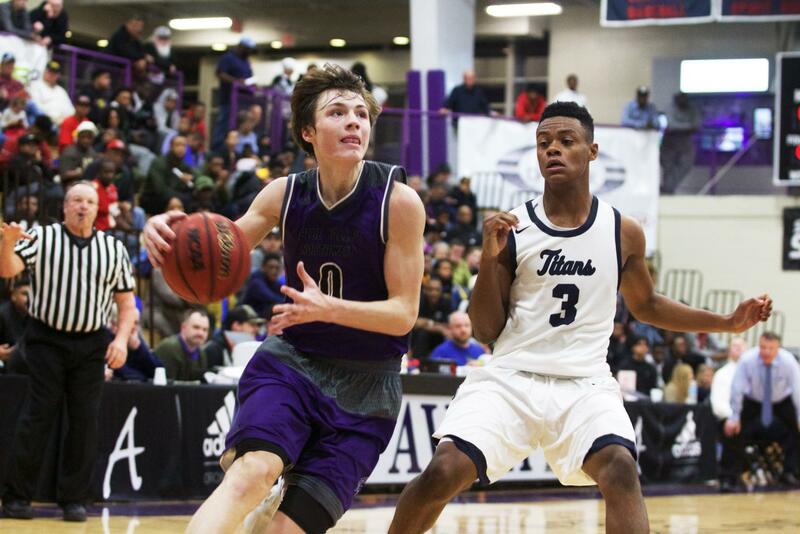 During the second half, senior guard Christian Braun (0) drives past Lee's Summit West guard Mario Goodrich (3) last year at Avila University Dec. 16. Check out a quick preview of each winter sport here. 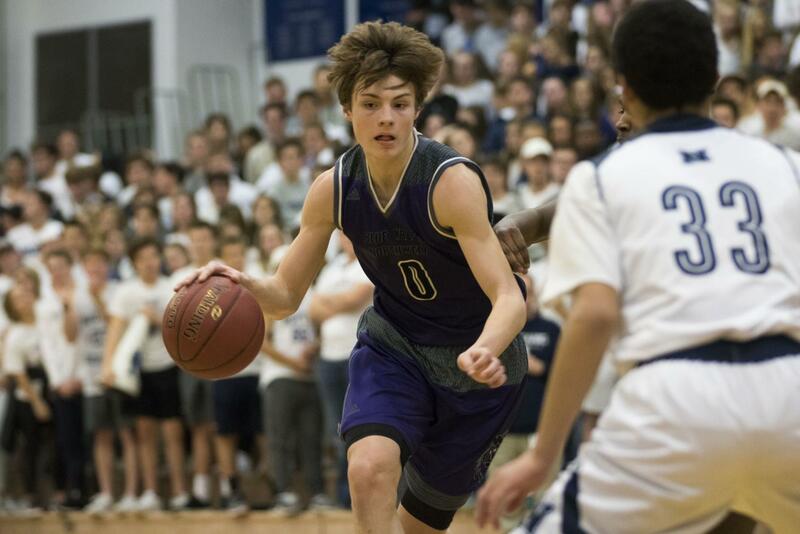 Blue Valley Northwest senior guard Christian Braun (0) drives the ball in the second half of last year's matchup with Blue Valley North at BVN Jan. 12. 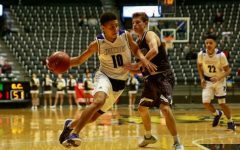 After claiming a 6A State Title last year with a 21-4 record on the season, senior guard Christian Braun said the Huskies aim to claim a third 6A State Championship in as many years. 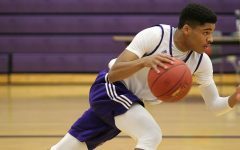 While losing many seniors, Braun said the Huskies gained several new players who are ready to step up to the task. 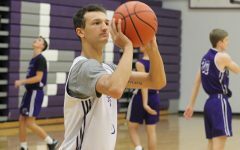 With the addition of many new pieces to the varsity team, there are still several returners which head coach Ed Fritz said should help ease the transition for the younger guys. 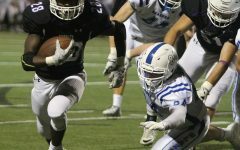 Braun and Fitz agree that the length of the team will be the Huskies greatest strength this year as they look for a third straight state title. 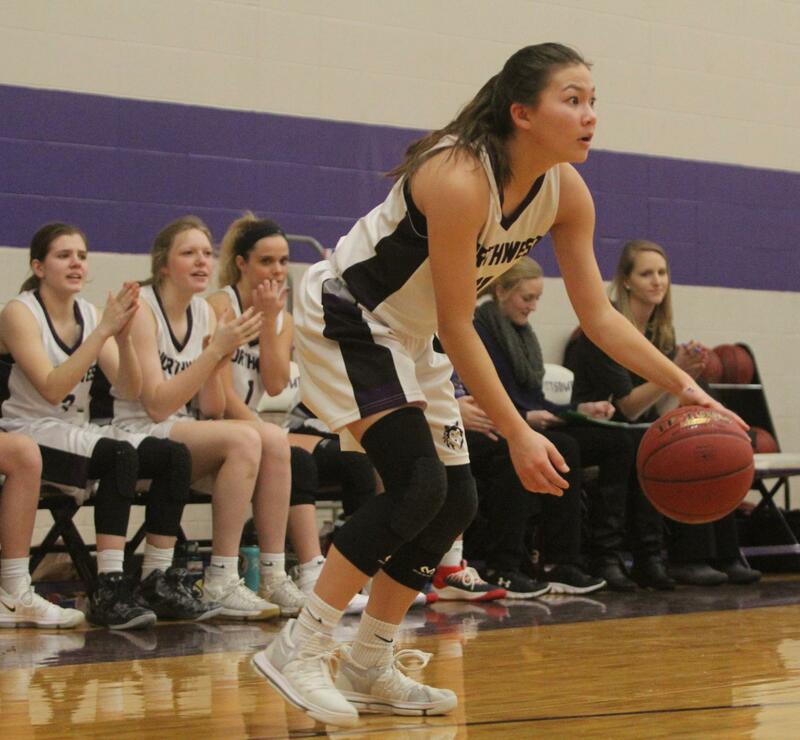 Blue Valley Northwest senior guard Haley Shin (11) dribbles the ball during the fourth quarter of last year's matchup with Pittsburg High at PHS Jan. 20. The Huskies defeated the Purple Dragons, 54-29. Following a 7-14 record last season that ended in the retirement of the former coach Brian Bubalo, head coach Matt Shulman is hoping to bring a new energy, getting students excited for the upcoming season. Shulman said he is optimistic after tryouts and believes that the girls can earn a better record with improvement. Senior point guard Haley Shin said she feels optimistic about the team’s ability. Shin believes the team has a strong bond that will help them work together to win games. “I think that the fact that we’re going to be able to know each other well and work together well will work for us,” Shin said. Shin said the team’s overall goal this season is to win more games, building off last season’s record. 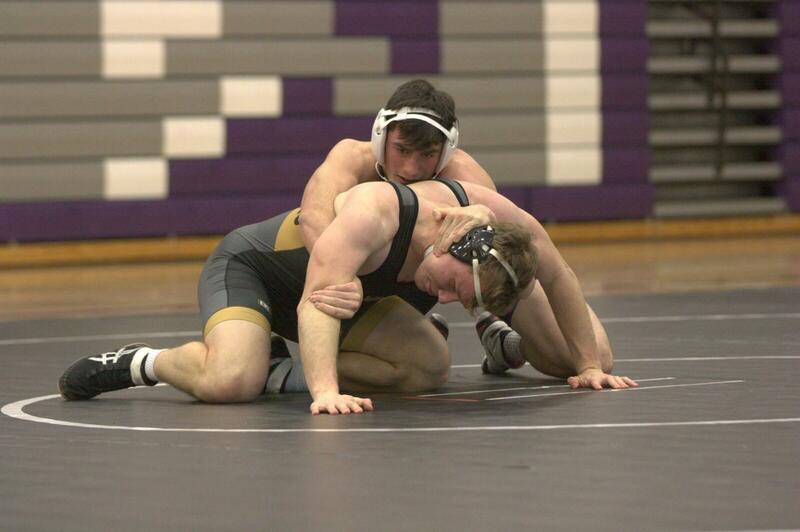 Sophomore Caiden Casella wrestles in a meet on Dec. 13 at Blue Valley. With the majority of last year’s varsity team graduating, the Huskies will be fielding a younger team for the upcoming season. Senior captain Payton Potts said even though most of the team consists of underclassmen, he has hope the team will be a good competitors. Setting high expectations for himself this season, Potts said wants to be a ranked wrestler and to have successful season. After one of the most successful seasons for the wrestling program, Head coach Tim Serbousek said that he expects the seniors to be role models for the other younger wrestlers. Senior JP Larson swims in a meet during the 2017-18 season. 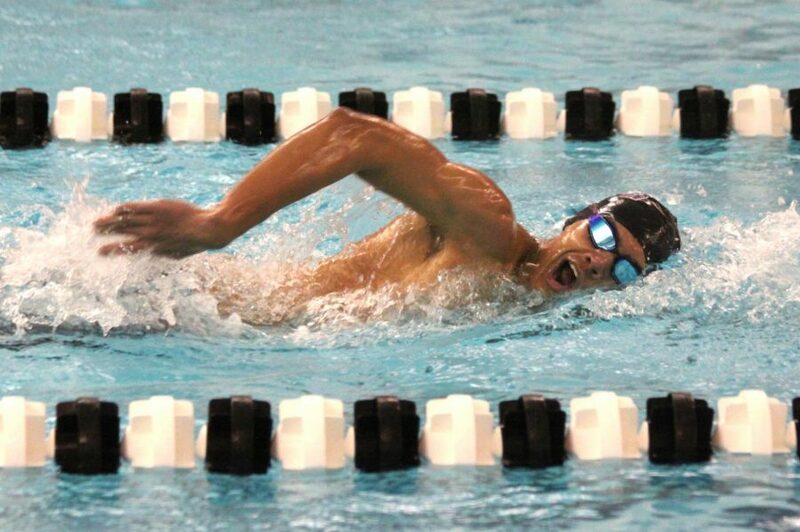 After placing third at state last year and losing the strong senior leadership that encompassed almost half the team, swim coach Kyle Farrington says he is excited to hit reset and give this year’s senior leadership the opportunity to establish the strong team culture and supportive family atmosphere that he believes is an integral part of successful performances. Senior JP Larson says that though the team may have lost some of the speed they had going into last year, he thinks the team has a lot of potential and room to grow because of all the new swimmers. Like Farrington, Larson also said what this year’s team may be lacking in experience, it makes up for with its supportive team environment. According to Farrington, everyone on the dive team is relatively new, not just to the team, but to the sport. Farrington and senior diver Alec Weber said their ultimate goal for the season is to send at least two divers to state. Farrington believes the key to both teams maximizing their potential and reaching their goals is to maintain an encouraging and social community in and out of the pool.